Jacksonville Jaguars tickets and travel packages are on sale now with PRIMESPORT, the Official Fan Travel Partner of the Jacksonville Jaguars. Your Jaguars will take on the Houston Texans in London in 2019. Take your Jaguars pride to the next level this season with an Official Titans Fan Package from PRIMESPORT. 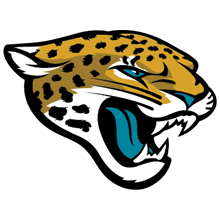 Sign up for Jacksonville Jaguars game information! Take a trip with us across the pond and catch your Jacksonville Jaguars versus the Houston Texans at Wembley Stadium in London for the 2019 NFL International Series. The Jaguars have partnered with sports travel industry leader PRIMESPORT to offer all fans the chance to experience this incredible trip like a true VIP. Whether you need airfare from Jacksonville to go along with your London hotel accommodations and Jaguars tickets, or you already have the flight and hotel room covered and just need game tickets and game day hospitality, with a variety of official travel packages available, there is something for everyone. Details vary by package, but can include gameday brunch with a Jaguars legend, the London Eye Experience, a Windsor Castle Tour, and transportation to the stadium. PRIMESPORT is the Official Fan Travel Partner of the Jacksonville Jaguars. The terms NFL® and Super Bowl® are trademarks of the National Football League. PRIMESPORT is a division of On Location Experiences.